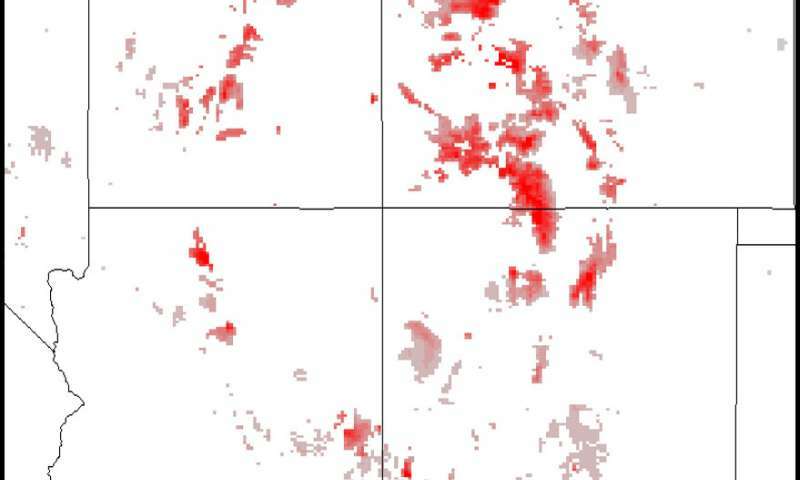 The research team mapped the changes in snow mass from 1982 to 2016 onto a grid of squares 2.5-miles on a side over the entire contiguous U.S.
A person could practically find the trend for their neighborhood, said first author Xubin Zeng, a University of Arizona professor of hydrology and atmospheric sciences. Grid size for previous studies was about 40 miles on a side, he said. "This is the first time anyone has assessed the trend over the U.S. at the 2.5-mile by 2.5-mile pixel level over the 35-year period from 1982 to 2016," Zeng said. "The annual maximum snow mass over the Western U.S. is decreasing." UA co-author Patrick Broxton said, "The big decreases are more often in the mountainous areas that are important for water supplies in the West." 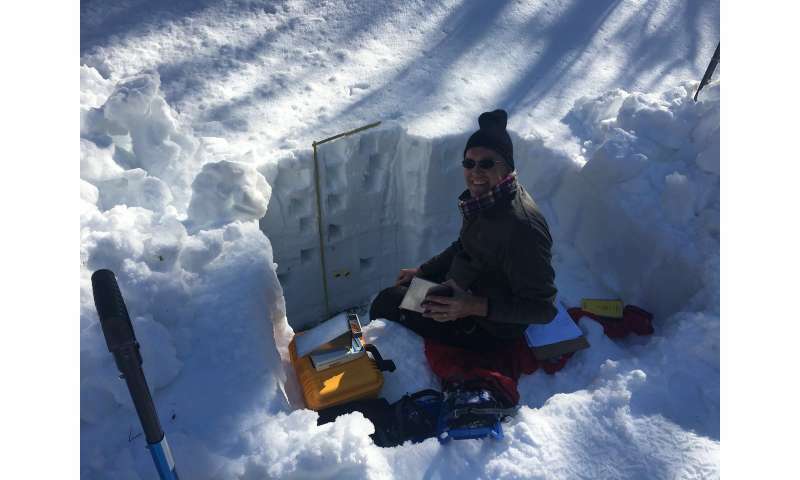 Zeng's team also found over the period 1982-2016, the snow season shrank by 34 days on average for squares that, if combined, would equal the size of Virginia. "The shortening of the snow season can be a late start or early ending or both," Zeng said. "Over the Western U.S. an early ending is the primary reason. In contrast, in the Eastern U.S. the primary driver is a late beginning." 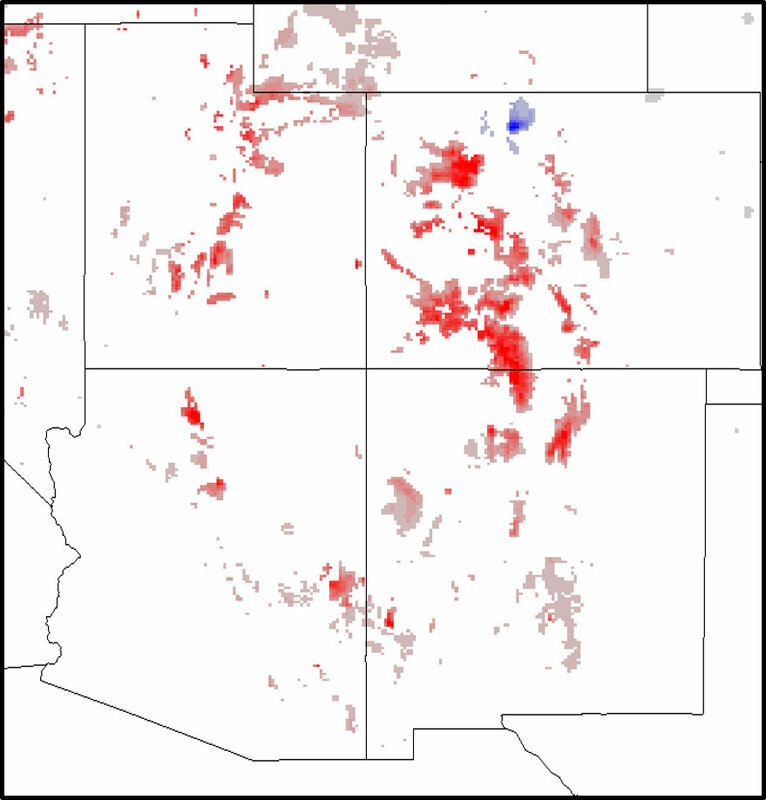 The pink-to-red areas in this map of the US Four Corners region (Utah, Colorado, Arizona and New Mexico) shows areas with statistically significant decreases in annual snow mass since 1982. Those areas correspond to many of the region's highest mountain ranges. Darker colors represent larger trends. Photo credit: Patrick Broxton, copyright 2018. Credit: Patrick Broxton, copyright 2018. 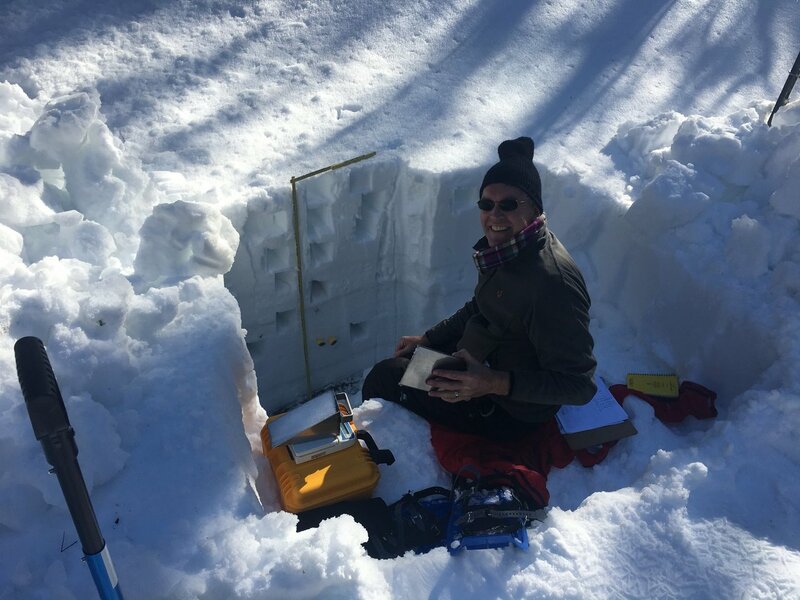 The paper, "Snowpack Change from 1982 to 2016 Over Conterminous United States," by Zeng, Broxton and their co-author Nick Dawson of the Idaho Power Company in Boise, Idaho, is scheduled for publication in Geophysical Research Letters today. The other is the U.S. Department of Agriculture's SNOwpack TELemetry, or SNOTEL, network, an automated system that collects snowpack and other climatic data in the mountains of the Western U.S. However, for many locations, such measurements are unavailable. "Snow is so reflective that it reflects a lot of the sunlight away from the ground. That affects air temperature and heat and moisture exchanges between the ground and the atmosphere," said Broxton, an associate research scientist in the UA School of Natural Resources and the Environment. NASA and the UA's Agnese Nelms Haury Program in Environment and Social Justice funded the research.